Transform your passion for sustainability into a rewarding career that impacts the lives of people and our planet. Leading companies are discovering that what’s good for the environment is also good for business—and the demand for qualified sustainability professionals is growing at a rapid rate. The MS in Sustainability Management at Stevens prepares you to meet this demand head-on and equips you with the tools to lead in this new era of sustainable development. Progress on sustainability requires a holistic approach, with contributors from all areas of expertise, bridging the gap between scientific progress and social implementation. In the sustainability management master’s program, students coming from the humanities, social sciences, business, policy or law will gain advanced knowledge of the science and technology of sustainability to drive action. Students with engineering, design and science backgrounds will develop the soft skills and management abilities required to lead. All students will learn to work effectively across silos and disciplines to lead bigger initiatives for systemic change. Stevens is also home to a number of world-class research centers where students can engage with advanced innovations in environmental and energy sustainability. 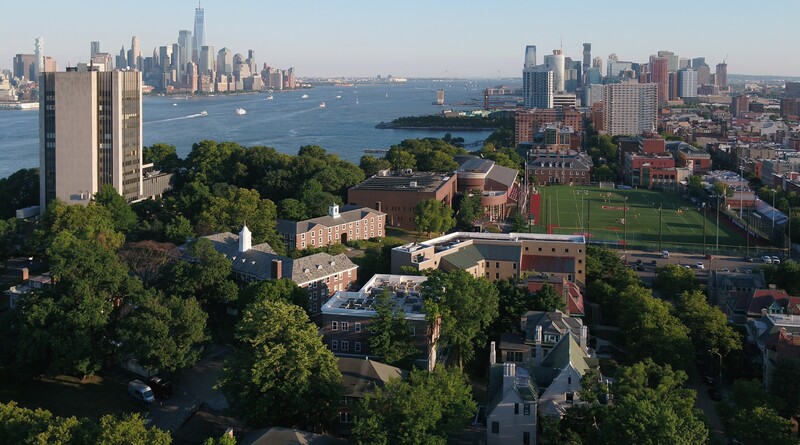 Located on the west bank of the Hudson River, just 15 minutes from New York City, one of the largest metropolitan areas in the world, the Stevens campus offers our students unique vantage points for studying sustainability of mega urban systems. We connect our students to the local and regional sustainability leaders via the 'meet the speaker' session in our weekly Sustainability Seminar Series and through our one-of-a-kind capstone program where students get an opportunity to learn directly from these leaders working with them as their interns. The sustainability management master's program offers the option to pursue a dual MBA degree with the Stevens School of Business. At Stevens, sustainability is more than a catchword: it’s a commitment. From winning national awards for student designs in energy efficient housing, to incubating high-tech water and solar start-ups, to generating new knowledge for environmental policy and resource management, we live by the belief that what we do every day can positively impact people and the world around us. We welcome applicants who have a passion for sustainability and want to maintain the environment through innovative sustainability solutions. You can apply with an undergraduate degree in engineering, technology, natural or physical sciences. The program equally benefits applicants with degrees in humanities, social sciences, communications, architecture, planning, policy, law, economics, business or other related fields. Steven’s passionate sustainability management faculty include well-connected industry experts with real world project experience. Watch our previous sustainability speakers on our YouTube channel. The Stevens Sustainability Management Masters Program is preparing me to handle complex problems, and has helped me come up with innovative solutions to help me throughout my career in government. This program is very practical. It’s a good fit for people interested in sustainability to learn firsthand from experienced professionals. Plus, our class has a great time together. The Sustainability Management program at Stevens is quite different from other programs. The teacher-student ratio is quite low, so the program director provides careful attention to every student. I really enjoy being a part of the Sustainability Management program. The professors in this program care about the students and the goal of protecting the environment. George Korfiatis founded the Center for Environmental Systems and performed research in groundwater pollution, remediation and water quality. Angelo Elmi, PE is a Principal Engineer in MTA-New York City Transit and is an expert on environmental planning, impact assessment and compliance. A former pharmaceuticals industry executive, Dr. Rosita Nuñez is an expert in sustainable business practices and corporate social responsibility. Discover how a master’s in sustainability management from Stevens helps you promote environmental causes at a higher level. Learn to lead large-scale sustainability initiatives in a variety of sectors for tangible impact. Choose part-time or full-time flexible enrollment, including an option to complete the program in three semesters. Complete real-world projects on campus and in hybrid courses that combine in-class and online coursework for busy professionals. With New York City just 15 minutes away, convenience combines with that classic, collegiate campus feel you love. Customize your course of study with cutting-edge, career-relevant electives — or add a graduate certificate. Capitalize on our nationally ranked Career Center, sustainability seminar series, networking opportunities and internship placements.